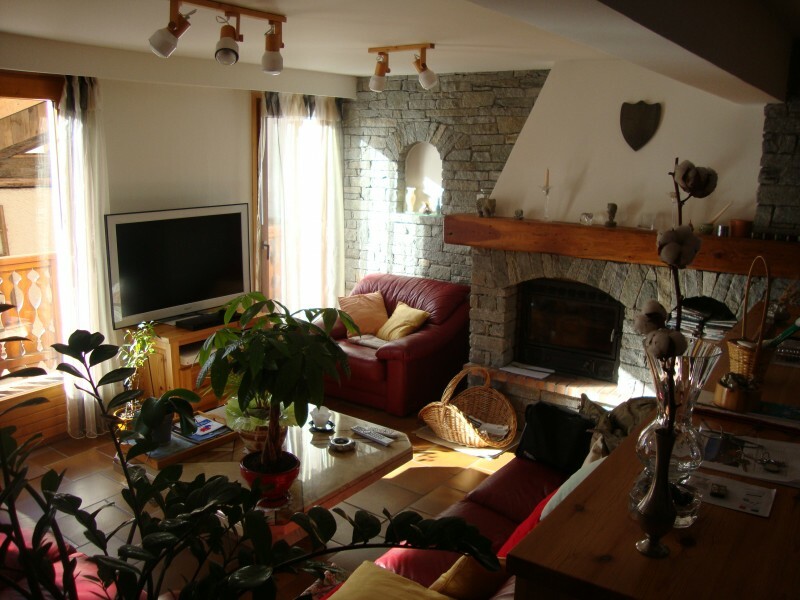 Fabulous Ski Apartment Of Approx 104sq m. 3 En Suite Bedrooms, Great Location, Villaroger, Les Arcs, Paradiski. 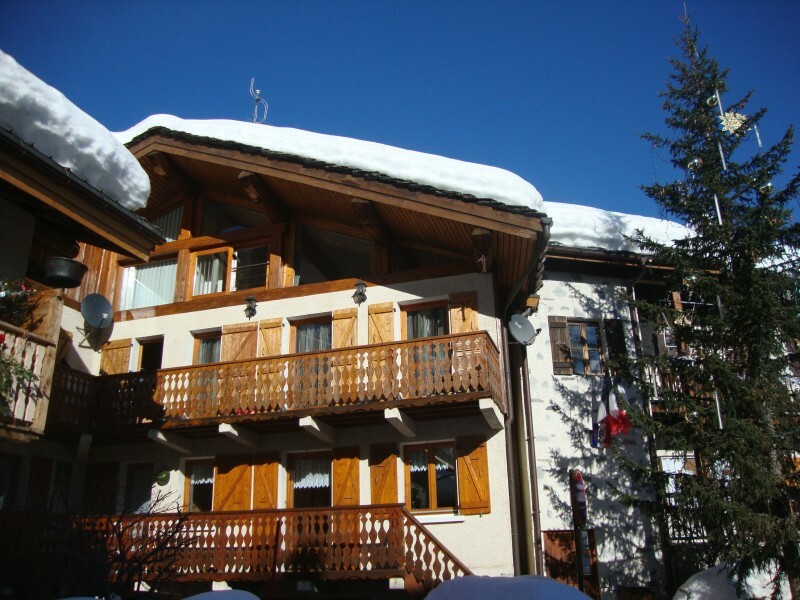 This is a fabulous, very spacious duplex ski apartment that would make a fine alternative to a smaller ski chalet or village house. One of three apartments in what was originally a house it has been tastefully modernised with 3 bedrooms with en suite shower rooms, a cosy lounge, spacious dining area, contemporary kitchen and a south-facing balcony with great views. The 3 apartments share a patio/terrace area to the rear of the house as well as the cave/ wine cave and double garage on the ground floor, a total of some 120 sq. 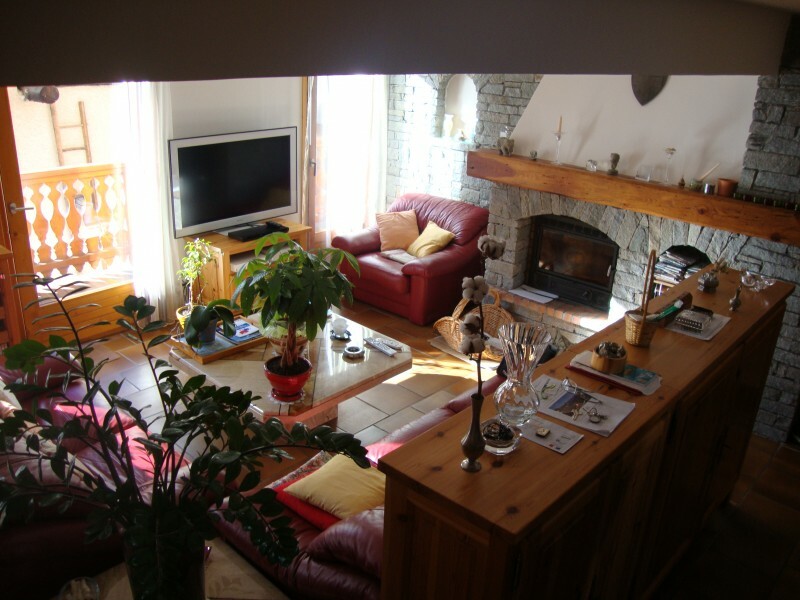 m.
The apartment is located in the centre of the village just a couple of minutes from the Villaroger chairlift that links into all of Les Arcs, Paradiski. In a good snow year it is possible to peel off the piste and ski back to the centre of the village very close to the house. 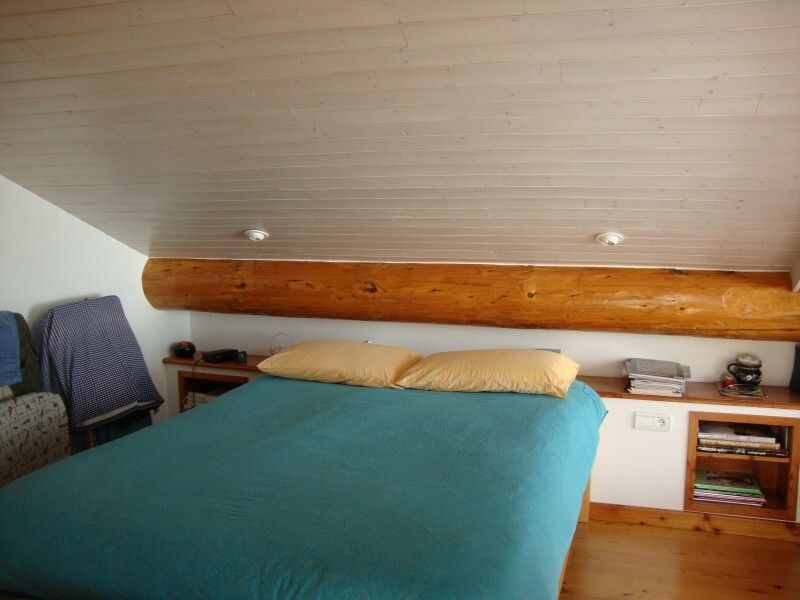 A superb ski apartment that is also ideal for all year round use. The apartment is on the top two floors of the house accessed via an internal staircase. Entering the apartment there is a small entrance hallway that leads through into a big living and dining area of approx 34m2 and a modern fully fitted kitchen. This is a spacious light airy space large enough for a family to spread out and enjoy. A real plus point is that the lounge has a large fireplace to make those winter evenings as cosy as possible. 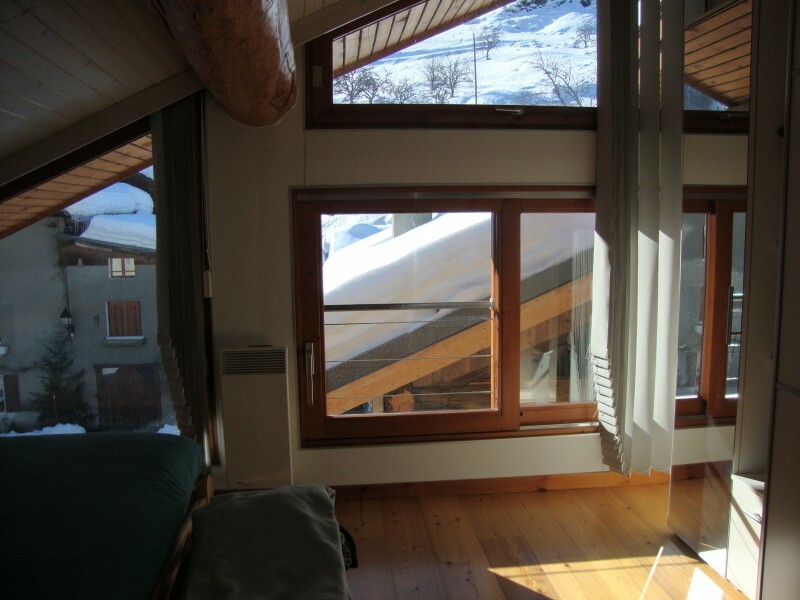 There is a south-facing balcony off the lounge area offering great views across the village to the slopes beyond. Just by the entrance hallway there is a separate WC. 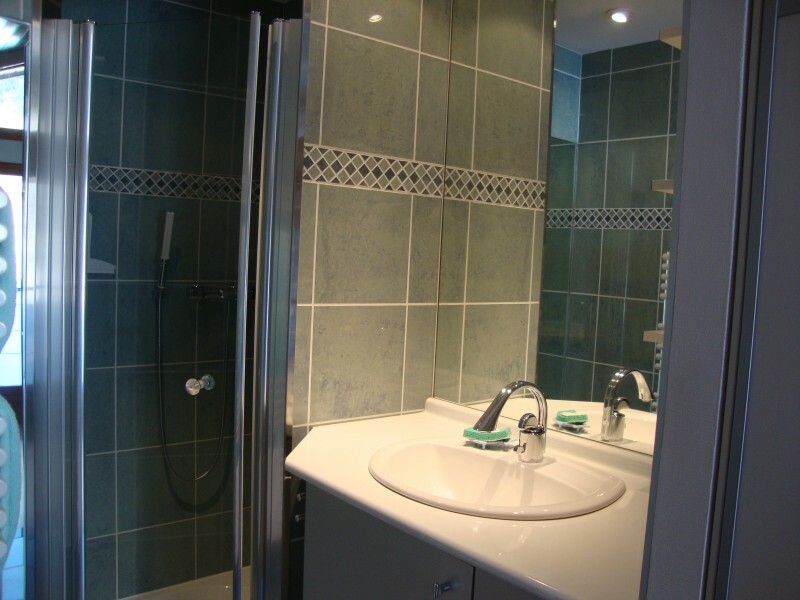 This level also finds one of the bedrooms with a contemporary en suite shower cubicle and washbasin. This bedroom currently has bunk beds but could take a double bed. A wide, open plan wooden staircase takes you upstairs to a landing space that currently serves as an office space; extremely useful. A large Velux window makes this a light, airy space. 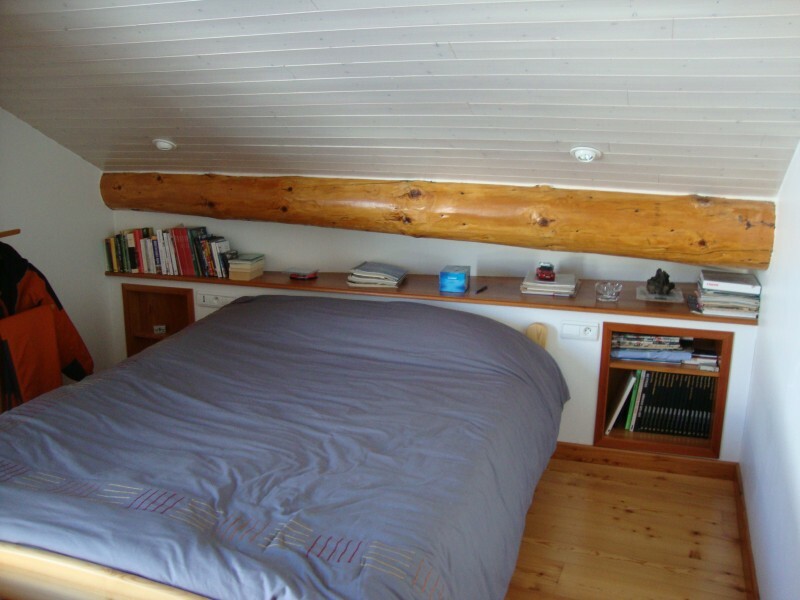 There are a further two double bedrooms up here, both with sloping ceilings, chunky wooden beams and large windows. One of the bedrooms has a small Juliet balcony; both have en suite showers and washbasins. There is a separate WC on this upper level with space for the washing machine and tumble dryer. 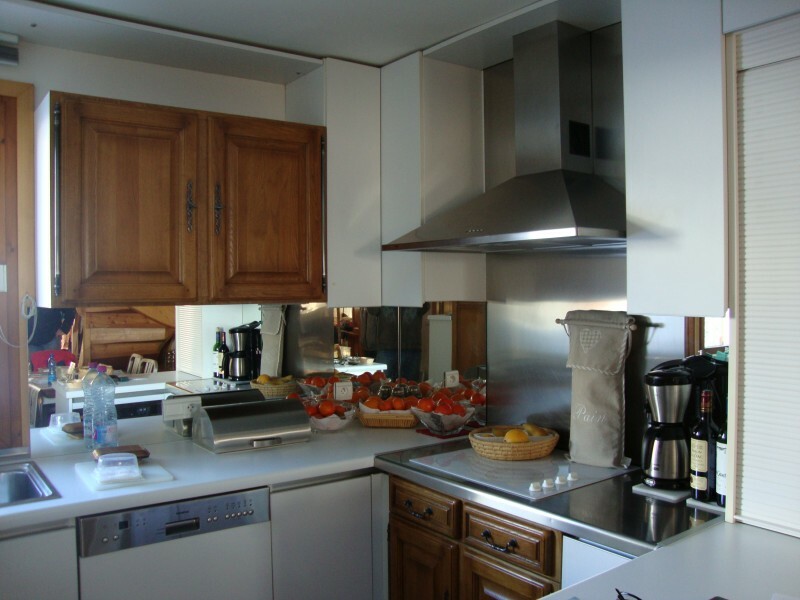 The whole apartment is well decorated and well presented; a very comfortable space. On the ground floor of the house there is a shared 120m2 of space including a double garage. This provides plenty of space for a family to store skis, mountain bikes and all the other “stuff” that an active family tends to accumulate. Plenty of room to store those wine bottles as well! Villaroger remains an authentic Savoyarde village with some lovely buildings. The Villaroger chairlift allows you to link into all of high altitude Les Arcs, Paradiski. Villaroger’s own local slopes offer 20 km of tree lined skiing; the joint Les Arcs, La Plagne, Paradiski area has an amazing 425 km of slopes. The run down from the Aiguille Rouge down to the village is a great 7km descent. Villaroger has a few, traditional restaurants, including La Ferme which is a well-known local watering hole right by the chairlift; a great stop at the end of a day on the slopes. A further choice of restaurants and local commerce for that loaf of bread etc are just 5 minutes away by car in Ste Foy village. 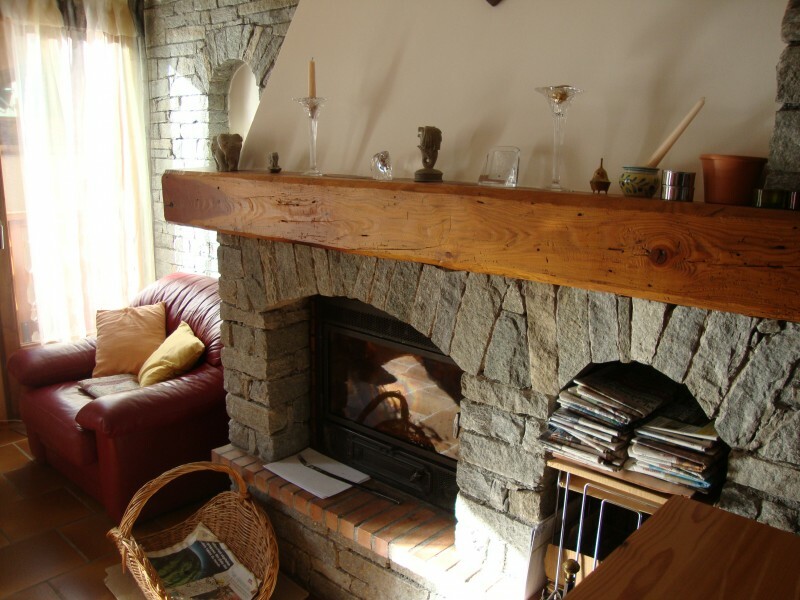 In summer Villaroger is a lovely spot with the Hauts de Villaroger and Parc National de Vanoise on the doorstep. Self-drive; it is an approx. 10 hour drive from the main channel ports . By train; Bourg St. Maurice is the nearest station some 15 minutes or so away by car. In winter a direct Eurostar service runs to Bourg. Villaroger is a little bit of mountain paradise. 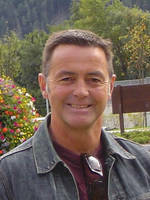 Despite being part of the fabulous Paradiski domain it has retained a farming village charm. With old stone buildings, snow covered chalets and narrow streets it is hard to believe that modern, purpose built resorts are a stone’s throw away. 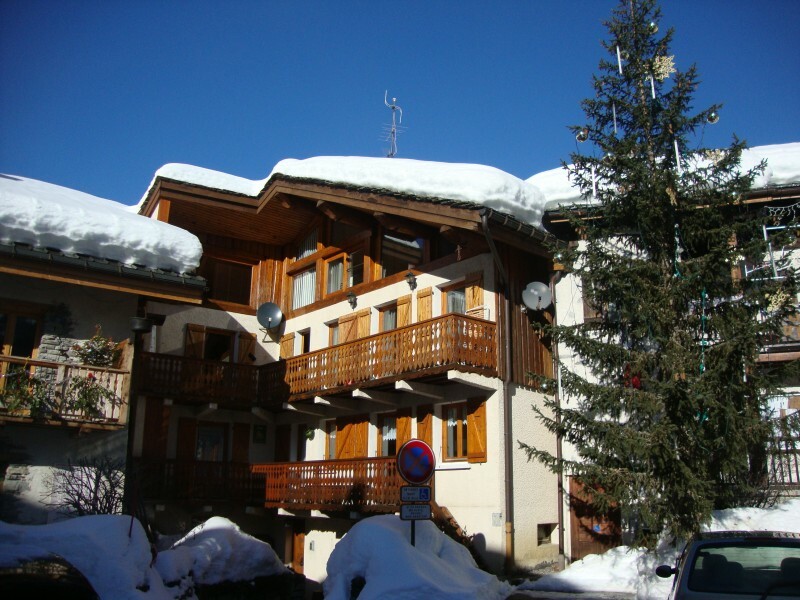 Situated in the Tarentaise area of the Savoie department, Villaroger’s ski lift, in the Le Pre part of the village, links directly to Les Arcs and the infamous l’Aguille Rouge piste which is 7kms long and drops a cool 2000 metres! At the top of the piste the view of Mont Blanc is stunning. Paradiski offers 420kms of ski runs and 144 lifts. Villaroger, the village, sits at 880metres. It faces north allowing it to keep a snow covering throughout the winter season and is partially covered in thick forest. In the summer there is wildlife in abundance, Chamois, marmottes and wild boar roam freely amongst the wild flower meadows and undercover of the trees . It’s a walking enthusiasts dream, many visitors come to the village to enjoy the beautiful “Reserve Naturel de Villaroger”. Maintaining its traditions and conservation is very important to the 400 local residents, however that doesn’t mean that they are hiding in the past, far from it! Whilst maybe not having the buzzing nightlife you may find in larger resorts, there are still plenty of excellent restaurants and bars. The village has a boulangerie, a small supermarket and other necessary amenities, including a primary school, with only 12 children! Its lower altitude and easy access to the local town of Bourg Saint Maurice means it attracts an all year round population. It has a warm, friendly, family feel; you’re guaranteed to love it!